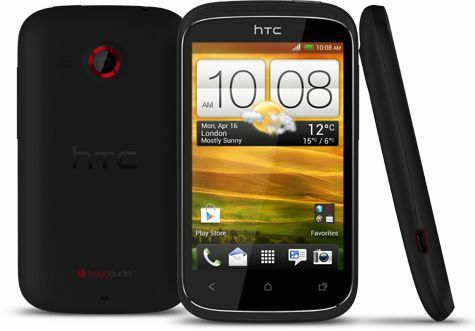 HTC officially released HTC Desire C, the Budget Android phone with Beats Audio. HTC Desire C is powered by Android 4.0 Ice Cream Sandwich with Sense 4.0 UI. The phone has 3.5” LCD, 600 MHz with 512 MB of RAM. The hardware specification is same as HTC Explorer but good thing is that Android 4.0 ICS and Beats Audio lift the device. The HTC Desire C has 5 MP camera with F/2.8 aperture and 34mm focal length. The phone has 4GB of Internal Storage, 25 GB of Dropbox space and a microSD card slot. Other features include 3G, Bluetooth 4.0, Wi-Fi and USB 2.0. The phone has 1230 mAh battery. Its interesting to see how Android ICS perform on such low processor, I still don’t know why they still stick with 600 MHz processor.